As the co-founder of Learnactive Management Consultancy, Maha has nearly 20 years of experience as a learning and design professional as well as an MSc. in Training & HR Management from the University of Leicester, UK. She has worked with some of the most influential organizations in the Middle East and globally, such as Nestlé, Novartis, Abu Dhabi National Oil Company, Dubai Electricity and Water. With an international background, Maha brings cultural sensitivity and understanding to her work with global clients. She is a gifted facilitator who inspires learners to take charge of their own learning. Her professional passion is helping to improve learning and development in organizations by spreading best practices for developing human potential. 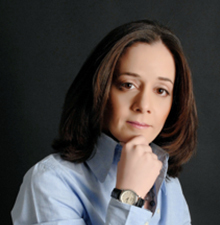 Maha has the distinction of being the first and only Kirkpatrick Partners master facilitator and consultant. She’s also passionate about helping improve children’s education in the middle east and everywhere–and she is particularly interested in how education can become more in line with the future.